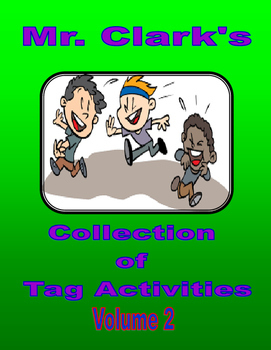 I believe that Tag activities can provide a lot of value as part of a Physical Education atmosphere especially if they can include everyone and eliminate no one! Tag activities can provide that instant warm-up, help review or introduce quality material (bones, muscles, exercises, etc. ), and also get students exercising while having fun. These Tag activities do just that! They are fitness-based, have an underlying goal (cross-curricular, cooperative, sportsmanship), and also include everyone and avoid having students eliminated completely from activities. Tag you're it!